Drivers in the Mid-Atlantic have a lot on their plate. In addition to dealing with extreme inclement weather and heavy hordes of traffic, they also have to battle distractions found within the car. Other passengers and electronics can be detrimental to safe driving, causing countless distractions and putting people at risk. As a result, a large amount of motorists are turning to new technology to help them focus on the roads. One of the most important things drivers can do is pay attention to the laws in their area. For instance, people in New Jersey who are caught using a hand-held device will face a hefty fine. Repeat offenders may even have their license suspended or reviewed. By staying up to date on regulations and standards, drivers can proactively practice safe driving and take advantage of advanced technologies. "Laws on using cellphones while driving vary from state to state," said Stephanie Rahlfs, attorney-editor at FindLaw.com. "So it's important to know the applicable law in the state where you are driving. This is particularly important because cellphone laws are primary enforcement laws, meaning an officer can issue a citation for illegal use of a cellphone without any other traffic offense taking place." FindLaw.com recently conducted a survey to determine how Americans feel about electronics. 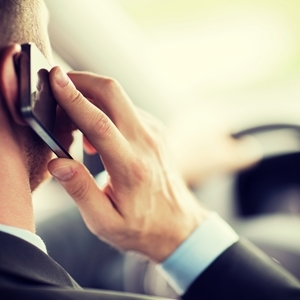 The study reported that about half of U.S. drivers support laws that restrict drivers to only using hands-free cellphones. Approximately 42 percent of people think there should be a total ban on phone usage, while the other 8 percent don't want any type of restrictions. Keeping your hands on the wheel is important, which is why many drivers search for ways to minimize distractions. A great way to do this is with hands-free technology. Car features such as infotainment systems make it easy to follow driving directions, receive phone calls or complete other assorted tasks. While these amenities may seem like extra perks when you're shopping around, they can be a major advantage for drivers who want to stay within the law. Anyone looking for a vehicle with advanced tech capabilities should check out the selection at New Jersey State Auto Auction. The lot houses hundreds of Carfax-certified used cars, trucks and vans, many of which have top-notch features that help drivers stay focused on the roads. It's no surprise that some people need help affording a used car. In today's world, these high-quality options can be costly – unless drivers know where to look. Searching through auto auctions and taking advantage of opportunities to submit low bids can be a huge boon to motorists, particularly those who are facing a tight budget. But those aren't the only options. Auto financing provides all kinds of drivers with ways to afford a purchase, and as long as motorists know some of the basics regarding loans, they can put themselves in a position to get behind the wheel quickly and economically. 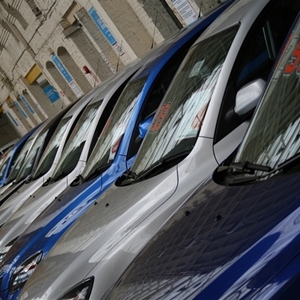 CNN Money reported that subprime auto loans are increasing in popularity. Currently, these subprime deals make up 30 percent of all car loans, with billions of dollars owed by borrowers. The news source noted that only 0.71 percent of these loans are in default, which is slightly higher than earlier in 2014, but that's not a sign of concern for experts. That fact may scare some, but the market is still in a good place, which is great news for future buyers. 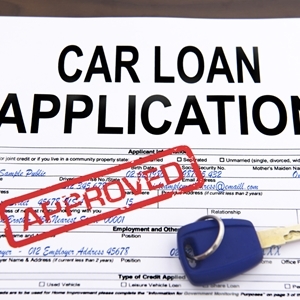 They should continue to have opportunities to secure loans and purchase a quality used car. Although subprime loans are experiencing a surge in popularity, it's important for drivers to understand all of the ins and outs before signing a deal. They should have a clear idea of how much they're going to be expected to pay back each month, as well as how that figure fits into a budget including gas expenses, repair costs and more. You also must take a long look at interest rates. Subprime borrowers often face higher rates and longer loan terms, which ultimately results in a bigger bottom line. Try to negotiate your way to lower numbers and a more budget-friendly final cost. With big decisions looming and piles of paperwork to complete, there's a lot to consider when shopping for a used car. That's why many people reach out for help from financing experts like those at NJ State Auto Auction. This team of professionals offers guaranteed credit approval and is able to assist you in securing a loan you can manage. All you need to bring is a few forms of identification and proof of your address, and then this team can help you do the rest. When people shop for used cars, they typically look at a few key areas of interest. Price, fuel efficiency, repair costs and other related factors all play a role in how a prospective buyer looks at a potential purchase. But these qualities are not the only ones that matter. In fact, drivers are increasingly looking away from financial matters. When motorists are truly strapped for cash, price dictates the final decision. Nowadays, however, people are choosing their rides based on more than just the price tag. 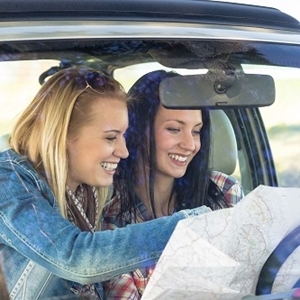 The latest AutoTrader.com survey, the 2015 Automotive Buyer Influence Study, reported that many car buyers are looking for a ride because they want one, not necessarily because they need it. 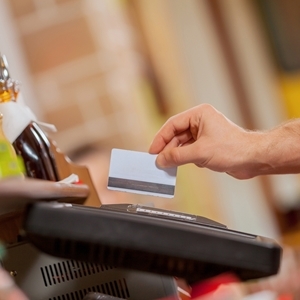 Approximately 61 percent of shoppers say their most recent purchase was something they wanted. Many of these drivers don't even have a specific model in mind – they just want to get behind the wheel. The AutoTrader.com survey found that almost two-thirds of motorists don't have a set budget and instead begin researching potential cars before deciding on a price point. This method allows shoppers to zero in on certain features that appeal to them and make informed decisions based on their desires. Although some may think these amenities raise the price, the current landscape is very hospitable to shoppers. As more people look for new cars, they are trading in older models, which in turn floods the used car market with high-quality options. So if drivers know where to look, they can find used models loaded with attractive features – all at a price they'll like. Even motorists under a tight budget have the freedom to find vehicles with the features they want. Once drivers select a used car from the hundreds present at New Jersey State Auto Auction, they can work with the team at the financing department to acquire auto loans and credit approval. That enables motorists to stay within a budget while still getting behind the wheel of the car they want. 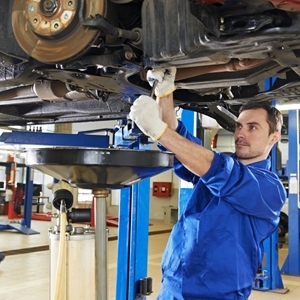 Car maintenance and repairs can be a major drain on drivers. They are often costly and time consuming, which results in many motorists putting the tasks off for as long as possible. Unfortunately, the same holds true for recall notices. Although dealerships may offer to fix recall problems for free, many drivers don't bother having their vehicles looked at. In today's auto industry, that can be incredibly risky and short-sighted. Motorists experienced a record number of recalls in 2014. The New York Times reported that more than 60 million cars were recalled throughout the year – more than double the previous record high in 2004. That is troubling on its own, but many drivers are not having the issues fixed. A recent report from Carfax found that about 46 million vehicles across the U.S. have at least one safety recall that has never been addressed. The biggest risk is with minivans and SUVs: As many as 1 in 3 vans and 1 in 5 SUVs have an outstanding recall. 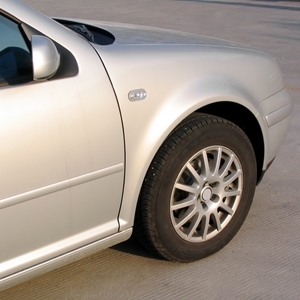 Approximately 5 million of these cars were bought and sold throughout the year, indicating that buyers are ignoring vehicle history and potential problems. Drivers in New Jersey and surrounding states need to stay on top of their game with regard to recalls. According to the Carfax report, New Jersey is one of the states with the highest ratios of unfixed cars in the nation, only beat by West Virginia, Michigan, Mississippi and Wyoming. Additionally, Pennsylvania and New York are among the top five states with the largest number of unaddressed recalls. With recalls and the corresponding lack of repairs staking a claim as one of the most important issues in the auto industry, it's essential for drivers to pay attention to the problems. 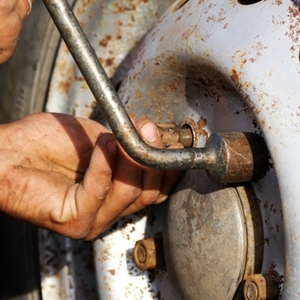 That starts with examining a vehicle's history and ensuring any recalls have been addressed. You'll also have to look to the future. Make sure to complete any and all required paperwork so you know you can be contacted in the event there's a bug found on your make and model. At New Jersey State Auto Auction, the auction lot has hundreds of Carfax-certified used cars, trucks and vans. You'll be able to take a look at the vehicle history of each model and make sure there are no outstanding issues. Now that the winter holidays are in the past and there's nothing but free weeks on the horizon, it's the perfect time to plan a road trip. While some may think that summer – with its hot temperatures and sunny days – is ideal for this type of trip, winter can be just as exciting. Accommodations may be easier to find and cheaper to secure, the roads might be less crowded, and you could get to see some unique sights. Many motorists are taking advantage of the current economy and getting behind the wheel for a road trip. According to AAA, the national average for a gallon of gas is inching close to $2. It may even fall below this mark by the time February rolls around – and drivers are ready to take advantage of these low prices. The affordability of fuel is putting road trips within reach for many people, and they're jumping at the chance to explore some new destinations. You need to trust the car you're driving during a road trip, regardless of what time of year it is. 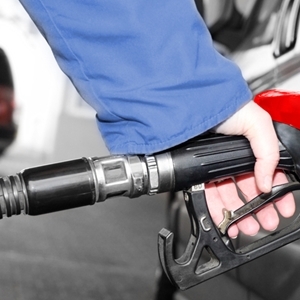 Fuel efficiency is an important quality for a vehicle to have. However, the recent decline in gas prices has made this less important, so drivers are free to focus on the other amenities they want. What else are drivers looking for in these cars? Safety features are always an important aspect, but especially for anyone looking to make long drives in the winter. Infotainment systems may also rank highly on a wish list. Navigational tools make it easy to get around an unfamiliar area, while tech tools can connect with other gadgets to supply music and hands-free communication. Other road trippers might be more interested in comfort. Spacious backseats, ample legroom and plenty of storage compartments are all essential for anyone spending a lot of time in a vehicle. If you feel the need to find a car that can handle a road trip, don't hesitate to check out the selection at New Jersey State Auto Auction. The lot has hundreds of Carfax-certified used cars, trucks and vans, any one of which may be capable of meeting your needs. With the help of the on-site financing department, you'll be able to secure loans and credit that won't take up all your funds and interfere with your trip. Shopping for a used car can be a headache and a half. Buyers often have to hunt high and low for the best deals, conducting a lot of in-depth research along the way. However, the process doesn't have to be this complicated. Some recent trends throughout the industry have pointed to a more streamlined process taking over, and much of the credit can be given to smart consumers and eager dealerships. To help make the entire process go faster, many drivers are making an effort to educate themselves as best they can. AutoTrader also noted that about 71 percent of used-car buyers wind up purchasing the vehicle they had in mind when they arrived at the lot, despite the fact that less than 30 percent have a specific model in mind when they start shopping. That's because they are doing more research than ever before. "Over the past several years of conducting this study, we've seen significant changes in car buyers' behaviors, particularly in how they are arriving at their purchase decisions," said Jared Rowe, president of AutoTrader.com. "The Internet is providing an unprecedented level of transparency for car shoppers, enabling them to make informed car buying decisions that they can be confident about." The average buyer now spends about 16.6 hours shopping around for a car, with the bulk of that time spent online. Not only can people read professional reviews and compare vehicles, but they can even start the bidding process online, which limits the amount of time they have to spend at the dealership. 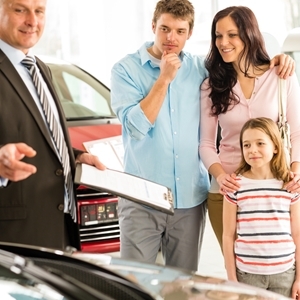 One of the most important factors for individuals is how fast the car buying experience is. According to data from AutoTrader, customer satisfaction peaks when the process takes about 90 minutes or less. As time drags on, people get unhappy, with satisfaction dropping to a below-average mark once the clock hits 2.5 hours. Speed is a priority at NJ State Auto Auction. The facility offers same-day purchasing for customers, and the financing department is able to provide guaranteed credit approval as well. These two perks combine to make finalizing a deal incredibly easy for motorists, who can then drive off the lot behind the wheel of their new ride. We've all been there: the thermometer is dropping precariously low, the snow on the car is piled high and you have no desire to sit in a freezing car. So what do you do? For most, the answer is simple – just warm up the car. This usually involves leaving the car idling as the heat kicks on and all systems get up to snuff. But is this really necessary? Not only is idling not required, it's downright bad for your car. Here are three reasons why you should skip idling this winter. Leaving your car running in place releases more carbon dioxide into the environment than is necessary. The Environmental Protection Agency noted that this action contributes to air pollution by emitting excess gas into the atmosphere. These pollutants can negatively impact both the environment and your personal health, so it's in your best interest to avoid it at all costs. If your health wasn't a good enough reason to stop idling, the process may be costing you money. When you leave a car running, it's essentially wasting gas by achieving zero miles per gallon. Even a few minutes of this each morning results in lower fuel economy, according to the Car Care Council. The organization also reported that idling contributed to wear and tear on a vehicle, which in turn led to more frequent servicing and costly repairs. You may think that idling is a necessary evil. Sure, it can be harmful, but is it justified because the engine needs to be warmed up? The answer is no. While older vehicles that featured carburetors needed the time to warm up, more recent models do not. In fact, according to the Environmental Defense Fund, the best way to get cars ready for the road is just to drive them. If you start out gently on the roads and clear off your windows so they don't take as long to defrost, you'll be in good shape. If you're ready to get rid of an ancient car that has a carburetor and requires time to warm up, head to New Jersey State Auto Auction. This lot is home to hundreds of Carfax-certified used cars, trucks and vans. While these options are not brand new, they still offer high quality and great features, ensuring they're ready to handle the cold weather without an extensive warm-up time. Drivers need to be smart when they're shopping around for used cars. With so many different factors to consider and numbers constantly flying around, it's easy to get overwhelmed or have details lost in the shuffle. You can avoid this by keeping your eyes on the end prize and remembering these three key concepts. 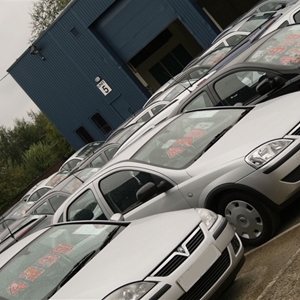 The first thing you need to do when considering a used car is obtain a vehicle history report. This will outline any past repairs or servicing a vehicle has received. It also provides insight into potential dangers. For example, you'll know if a car is running with replacement parts or when you should expect to have some kind of care needed. It'll alert you to any past damage they may inhibit performance as well. In addition to this report, ask a trusted, knowledgeable friend or professional to check the car over. They may notice something the vehicle history doesn't cover. 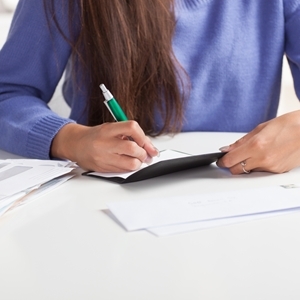 When you're analyzing your budget, it helps to look beyond monthly payments. Business Insider reported that it's a common sales tactic to zero in on what a used car will cost per month. However, this strategy leaves plenty of room for hidden fees, high interest rates and other budget-busting expenses to rear their ugly heads down the road. Make sure you're taking the time to look at the bottom line. This includes all of the loans you need to take on, along with insurance costs, fuel expenses and any maintenance you may need. Auto financing can be incredibly complicated. That's why it's necessary to find a dealership you trust. At New Jersey State Auto Auction, you start by browsing through hundreds of Carfax-certified cars, trucks and vans. Then, you can reach out to the on-site financing department for help. The experts there offer guaranteed credit approval and are able to quickly get you behind the wheel of the ride you want. They work fast, so you'll be able to secure the auto loans and finalize plans before driving off the lot. With no nasty surprises in the pipeline, you can rest easy and put all of your attention on your new ride. New cars are ordinarily expensive, but recent trends have sent prices surging beyond what is normally expected. While this may seem irrelevant for people shopping for used cars, it's still important for drivers to know, as many of the financial aspects are tied together. In December 2014, the average cost of brand new car models continued to rise, according to a report from Requisite Press, LLC. The data indicated that a combination of consumer confidence, low gas prices and many credit options led to climbing price of new cars. According to the NADA Used Car Guide, the high cost of new vehicles is beginning to affect the used car market as well. A surge of quality trade-ins, which are being sent to used car lots as owners purchase new models, has raised the average price of these pre-owned vehicles. "For the first time in 20 years, wholesale auction prices of used vehicles actually increased during December," said Jonathan Banks, an executive analyst for NADA Used Car Guide. "The 0.3 percent increase during the month is significant … since the average price for December the last 10 years has seen a 1.4 percent drop." Although the month of December saw prices grow, there are many opportunities at the beginning of 2015 for drivers to save, Requisite Press, LLC reported. An increasing supply of used cars, as well as more subprime loan offers, should help to get drivers behind the wheel of a vehicle they want. The good news for drivers is that they don't have to place excessive limitations on themselves when they shop for used cars just because of high prices. USA Today noted that high demand is raising many expenses related to these pre-owned vehicles, but the sheer number of used cars on the market should keep prices in check. The NADA Used Car Guide reported that the low cost of fuel and upcoming tax refund checks will likely make a purchase more attainable. Those who are smart enough to go to a facility like NJ State Auto Auction can capitalize on lower prices and affordable financing options. With the help of an in-house financing department, drivers can get guaranteed credit approval, allowing them to purchase the car they want without throwing off their entire budget. What do you think of when you imagine your dream car? For some, the thoughts may revolve around slick exteriors, revving engines and bold colors. Other drivers may have some simpler ideas that focus more on affordability and reliability. No matter what you think, there's one common theme that's probably not present: stopping at gas stations. Interrupting the smooth sailing of the open road to spend money on fuel isn't a fun experience, which is why many drivers are opting for models that boast impressive fuel efficiency. A recent study from J.D. Power detailed the factors that drivers consider as they look for cars. Among the most important aspects is fuel efficiency. In fact, gas mileage is the second-most popular reason drivers reject a possible purchase and is the deciding factor for about 14 percent of final decisions. Lower gas prices may encourage some people to look at larger vehicles that need a little more fuel to run, but for many drivers, it's only a short-term solution. Although the average price of a gallon of gas in the U.S. is down to $2.13, the potential savings aren't enough to get motorists to take a leap of faith. "Consumers know that, although gas prices are low today, the cost of fuel will likely increase during the time they own their vehicle," said Arianne Walker, senior director, automotive media and marketing at J.D. Power. "Clearly, consumers are considering the total cost of ownership when selecting their new vehicle." Ultimately, the majority of drivers still make the decision based on the price of a vehicle. But sticking to a budget doesn't have to mean sacrificing quality. At NJ State Auto Auction, shoppers can browse through hundreds of Carfax-certified used cars, trucks and vans until they find one that tickles their fancy. Then they can embark on the buying process in whatever way they want, whether it involves bidding for the vehicle or making an immediate offer to drive the car right off the lot. The team at NJ State Auto knows that budgets matter. That's why interested buyers can receive help from the on-site financing department. These experts can get you same-day, guaranteed credit approval, allowing you to quickly get behind the wheel of your ride without coughing up a ton of cash. Teens may be enrolled in driver's education classes, but the bulk of what they learn about the roads stems from their parents. 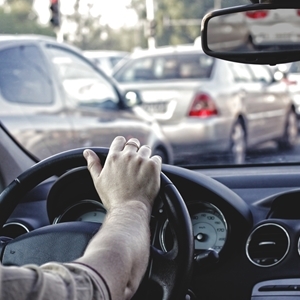 Whether they're picking up on what to do at busy interactions or getting a master class in road rage, these young people are frequently exposed to good and bad driving habits. This heavily influences the type of motorist they become in the future, so adults should be aware of how they're behaving. One recent study from Goodyear focused on how the parents of young drivers view themselves on the roads. According to the survey, more than half of adults know their kids are paying attention to how they act, and more than one-third admit that their habits directly influence children's attitude behind the wheel. For the most part, parents believe their children see them as good drivers. But that's in spite of the fact that nearly half have gotten a speeding ticket while a child was in the car, and more than one quarter admit to engaging in some bad habits as they drive. If adults want to be good role models for teen drivers, they'll have to start cleaning up their act. "It is clear the role of parents starts very early," said Eszter Salamon, president of the European Parents Association. "They are role models for the children. They drive behavior, and their behavior on the road as drivers, cyclists or pedestrians has an influence." Parents of young drivers don't have it easy. They have to balance safety and a budget – something that can be incredibly difficult when inexperienced drivers are involved. Not only do you want to make sure these motorists are protected with all of the top technologies and safety features, but you also must guarantee you're not sinking too much into an investment. According to the Department of Motor Vehicles, drivers ages 16 to 19 are almost three times more likely to be involved in an accident than their more experienced counterparts. Even if these collisions are light fender benders, they could still result in repairs that are both time consuming and expensive. Rather than get involved in a tangle of maintenance bills and sky-high insurance premiums, search for a great used car at New Jersey State Auto Auction. This lot is loaded with Carfax-certified used cars, trucks and vans, most of which offer the right balance of quality and price that you're looking for. What Cars Inspire Driver Loyalty? When you find a car you love, it's tough to give it up. But once the engine sputters out and the ignition no longer responds, you have to move on. The question is: What type of vehicle do you look at next? If you really loved one of your previous cars, you may find yourself gravitating toward that make or model. That customer loyalty is a phenomenon was recently studied by IHS Automotive. The organization analyzed data regarding vehicle registrations, tracking how many drivers stuck with the same automaker or model when making a switch. Ford was named the brand with the most loyal customers, as it had the highest percentage of drivers stick with its vehicles year after year. Ford's win is especially impressive when considering the individual segment winners. While the automaker may not have had any models excel in this area, its customers were among the most loyal to certain makes, meaning that they like to stick with what they know. A few models managed to earn accolades for inspiring driver loyalty. For instance, people who drove a Honda Accord often stayed behind the wheel of this sedan – in fact, it was recognized as having the highest model loyalty among midsize cars. This is the second year in a row the Accord has claimed this honor. "Customer loyalty is one of the key measurements of product excellence and customer satisfaction," said John Mendel, executive vice president of sales at American Honda Motor Co., Inc. "This recognition from IHS Automotive in the hyper-competitive mid-size segment is further proof that Accord continues to check all the boxes for the American car buyer." Other models that made a splash in their respective segments included the Chevrolet Silverado, Kia Soul, Chrysler Town & Country, Toyota Tacoma and the Dodge Challenger. You may want to stay behind the wheel of a certain car, but because of budgets and other factors, it's not always easy. But NJ State Auto Auction is dedicated to helping drivers get the used cars they want. Not only can you browse through hundreds of Carfax-certified used cars, but you are also able to receive help from the financing department, which could assist you in securing the model you want. Posted in Auto Industry News | Comments Off on What Cars Inspire Driver Loyalty? When Is It Time To Move On From A Used Car? Once you've invested money into a used car and begin driving it every day, it's easy to get attached. But when the miles add up and standard maintenance issues start getting costly, it may be time to think about moving on from the comfort of an old vehicle and purchasing one that has more of a future. This isn't an easy decision to make. However, it's one that is often necessary for safety and practical reasons. So you've been driving the same car for years and years, and you have a feeling it's nearing the end of its life. How can you be sure? There's no foolproof way know when a car has reached the end – unless it's dead in your driveway, of course – so you'll have to use your best judgment. Start by researching the average depreciation and resale value of your ride. Finding out how much your car is currently worth is the first step toward realizing if you're spending too much on fuel, repairs, insurance and other expenses. Most cars hold value until they near the 200,000-mile mark, but collisions and similar problems over the course of a vehicle's life can decrease this number. Be sure to take a clear look at what maintenance is costing you. If you're spending hundreds of dollars on quick-fix repairs to keep the car on the road, you may be wasting money. In fact, those funds could be better spent as a down payment on another ride that will last you much longer than what's currently in your driveway. When you've finally come to terms with the fact that it's time to upgrade your ride, it's important to turn to the right place for help. At New Jersey State Auto Auction, you can browse through hundreds of Carfax-certified used cars, trucks and vans, allowing you to find the right replacement at an affordable price. With many options for financing as well, it's easy to get behind the wheel of the vehicle you want quickly and affordably. Whether you want to take your time with the car-buying process or are eager to get back on the road, you can find the right course of action at NJ State Auto. 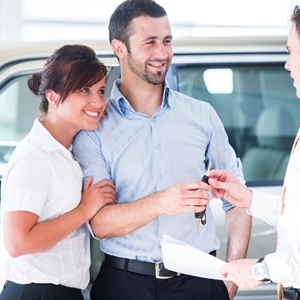 Let our team of professionals help you select a high-quality used car. Posted in General Auto News | Comments Off on When Is It Time To Move On From A Used Car? Now that 2015 is upon us, people all over the country are doing their best to stick to their New Year's resolutions. Among the most popular goals is getting finances in order, which often includes getting out from under credit card debt or improving credit history. Although this is an uphill battle, it's certainly not impossible, and smart borrowers can take a lot of little steps that will pay off in the long run. If you've decided to spend the next 12 months focusing on your credit and spending, you don't have to make any dramatic changes to your lifestyle. Here are a few small ways you can achieve your financial resolutions this year. It all starts by creating a budget and sticking to it. Make sure you're setting aside a certain amount of money for savings each month while still paying off loans and current bills. Don't underestimate your typical spending when putting the budget plan together. Instead, overestimate and then put any leftover funds toward a savings account. When you're paying off loans, you've got to spread the love. However, you should be focusing on debts with high interest rates. Prolonging this repayment will only cost you more in the long run. Additionally, if you know a certain credit card is charging you obscenely high rates, consider shopping around for another option or drastically limiting spending on that card to reduce the amount you're paying in interest. The New York Post reported that people should have a plan for paying debts as soon as possible. That may include refinancing or even consolidating loans. Although that may seem like an extreme measure, it could be a smart choice for anyone who is feeling overwhelmed by debt. With the help of a professional or smart advisor, getting out of debt may be more manageable. Do you have a feeling you're going to need a car in the near future? Bad credit doesn't have to inhibit you from buying a used car soon. At New Jersey State Auto Auction, drivers are guaranteed credit approval and can take advantage of guidance from a fully staffed team of experts in the financing department. The entire auto auction process allows you to limit your spending and find great deals on used cars. Drivers in the tri-state area are no strangers to heavy traffic. Whether you're trying to get in or out of New York City, fighting out-of-towners on the turnpike or battling summer beachgoers by the shore, you know what it's like to wait behind a line of other idling cars. No one likes this obstacle, as it adds a lot of time to a commute and can put drivers at risk for collisions. TomTom recently released a study on traffic congestion throughout the U.S. Most of the worst examples of these vehicular back-ups occur during the afternoon rush hour. In fact, the report found that commuters spent so much time stuck in traffic in 2014 that they could have traveled to the moon and back as many as 2.5 times. And that only counts congestion from 5 p.m. to 6 p.m. – meaning the real figures are much more significant. So you want to bypass the worst of the traffic – now what? TomTom noted that people in the New York area may want to use a few pieces of knowledge to their advantage. For starters, people leaving the city may want to avoid leaving on the hour, such as at 4 p.m. or 5 p.m., in favor of departing at the 30- or 45-minute mark. The report stated that leaving at these times, whether it's 5:30 p.m., 5:45 p.m. or 4:45 p.m., can take as much as 25 minutes off of your travel time. Conversely, people who leave at 5 p.m. on the dot may find that an hour-long commute doubles to nearly two hours. You can take advantage of every driving trick in the book, but odds are you're still going to end up stuck in traffic – at least periodically. This doesn't have to be the end of the world. People who are behind the wheel of reliable, efficient vehicles can rest assured that they – and their wallets – are protected on the roads. A good car will be fuel efficient, so it doesn't waste too much gas idling. If you don't trust your current ride in traffic, don't waste time and head over to NJ State Auto Auction. There you can browse through hundreds of Carfax-certified used cars, trucks and vans to find a vehicle that meets all of your needs. Not only can these automobiles handle traffic smoothly, but they can also save you gas money in the long run. 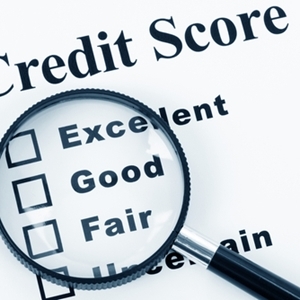 Once you've checked your credit score, you may be reeling from the subpar results. If your rating is lower than you expected, don't stress, as there are ways to improve your credit history and put yourself in a better position to secure loans. An acceptable credit score is essential for people who want to shop used cars. You'll likely need some kind of auto financing to complete the purchase, and you want to be in a position to get the best interest rates and credit options possible. When you're getting ready to buy a used car, make sure you're taking advantage of a few credit best practices to improve your personal score. Even payments that are only a few days late will negatively impact your credit score. Do your best to pay every bill on time. Some people like to set up automatic payments or reminders, both of which can be helpful to absentminded borrowers. Form a routine where you pay consistently to prove you are a reliable client. Making only minimum payments is a surefire way to remain in debt. Not only will you wind up owing money for years on end, but you'll also have to pay more on interest rates and remain stagnant with your credit score. Whenever possible, pay more than what's required, and if you find yourself with some extra cash, don't hesitate to make a lump payment that relieves some of your debt. There's no shame in needing a bit of help to sort through your credit. Special counselors are available to provide insight and guidance to borrowers in tough situations. People can also reach out to the creditors themselves to explore their options. New repayment plans or potentially even some late-payment forgiveness could do wonders for your credit score. The whole reason you may have checked your credit score is in preparation of buying something big. However, if your history is really that poor, you may want to wait until you improve your payment habits. Older credit problems, such as missed or late payments, count for less, but you need to have a good track record since then. Sometimes your purchases just can't wait. When that's the case, New Jersey State Auto Auction is here to help. The auction lot has a financing department that offers guaranteed credit approval and is accustomed to dealing with drivers who may have a not-so-perfect credit history. Let this team of experts help you get behind a quality used car quickly and affordably. Should You Check Your Credit Before Buying A Car? When you're gearing up to buy a used car, you face a lot of tough decisions. Not only do you have to crunch the numbers to figure out what your budget is and what type of loan you can repay, but you're also required to sort through many choices regarding your personal taste and preferred aesthetic. While choosing a color for your future car may be easy, the rest of the budgeting isn't. That's why you need to arm yourself with plenty of knowledge before going to the car lot. For many, this starts with knowing their credit score – but is that where you should begin your car-buying journey as well? Should you check your credit score before heading to a used car dealership? The short answer: Yes. The longer answer: Yes, but it's more complicated than that. Simply learning what these three digits are isn't going to change much – how you respond to the figure will. For instance, you can begin researching the type of loans people with your credit score often receive. You should also be combing through the material in search of easy ways you can improve, such as increasing the balance you pay on a certain monthly bill. Many people are ignorant about their credit scores simply because trying to find out this number can be confusing. Luckily, there are many resources available today that give you access to your score. The Fair Credit Reporting Act decreed that every person is entitled to one free credit report each year, so you can head to an official website, answer some personal questions and then receive your information. Make sure you print out the report so you can refer back to the information. Checking your credit score is a necessary step, but you'll still have a lot of decisions to make after it. Rather than letting your hard work get lost in the shuffle, let the financing department at New Jersey State Auto Auction help you out. This crew is ready and able to provide you with advice and guidance as you browse the lot's used cars. And with guaranteed credit approval, you can be sure you're in a position to get behind the wheel sooner rather than later. Posted in Auto Loans & Financing News | Comments Off on Should You Check Your Credit Before Buying A Car? Winter has finally arrived in full force. With low temperatures, snow flurries and icy roads on the horizon for the next few months, drivers have to become accustomed to dealing with these conditions and all of their side effects. The first step toward a successful season of driving is knowledge: Motorists need to know what to expect in the coming months and how to put themselves in the best position to stay safe. The first thing drivers should be aware of is how winter weather will impact their vehicle. For instance, many may know that tire pressure varies wildly when there's fluctuating temperatures, but fewer make a point to switch to low-viscosity winter oil to protect their engine from the effects of the cold. Having a clear idea of the benefits of preventative maintenance and winter updates will allow you to make smart, informed decisions that ultimately protect yourself and others. 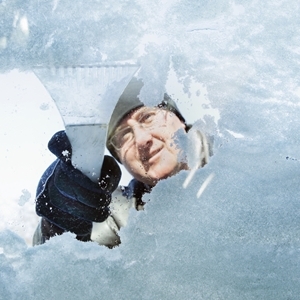 "Sub-zero temperatures can have a real impact on your vehicle," said Rich White, executive director, Car Care Council. "Winter magnifies existing problems such as pings, hard starts, sluggish performance and rough idling, and very cold temperatures reduce battery power." Stopping to get gas when it's cold outside can be a real nuisance. In New Jersey, drivers are helped by full service stations, but anyone who frequently travels to New York, Connecticut, Pennsylvania or another nearby state knows that having someone pump your gas is a special luxury. Don't let it go to waste, and instead make sure you're filling up your fuel regularly. When the tank is about half full – at least – it decreases the risk of freezing gas lines and other problems. Having a full tank also puts you in a better position to deal with slow-moving traffic on the roads or wait out surprise harsh weather. When you need your car to get you from one place to another in inclement weather, you need to trust it can do its job. That all starts with having a quality used car. At New Jersey State Auto Auction, you can find an automobile that meets all of your needs without draining your wallet. You can browse through hundreds of Carfax-certified cars, trucks and vans to find one capable of carrying you throughout winter.